Citing a new Consumer Reports analysis that suggests that 43 percent of sunscreen products fail to meet the Sun Protection Factor claim on the label, U.S. Sen. Charles Schumer has urged the Food and Drug Administration to launch an investigation into the possible deceptive SPF marketing. According to the study, 28 out of 60 sunscreen lotions, sprays and sticks with SPF labels of 30 or higher actually offered less protection than what was listed on the bottle. Moreover, three of the tested products offered SPF levels of less than 15. For four years, Consumer Reports has tested SPF claims, Schumer noted. Of products that were listed as SPF 30-39, 65 percent of chemical and mineral sunscreens tested higher than SPF 30. 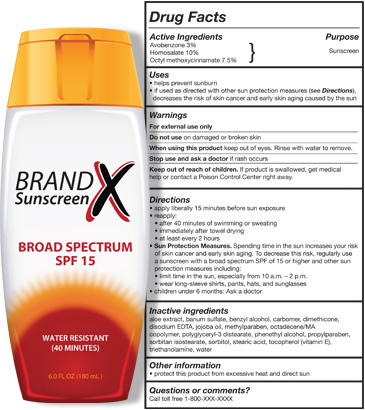 Of products that were listed as SPF 40-110, 70 percent of chemical and mineral sunscreens tested higher than SPF 30. Schumer added that proper SPF labeling is important because of the prevalence of skin cancer in this country. According to the U.S. Centers for Disease Control and Prevention, skin cancer is the most common cancer in the United States. Reapply sunscreen at least every two hours, more often if you’re sweating or jumping in and out of the water.